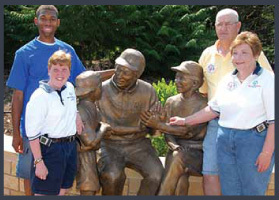 Planned gifts make a difference in the lives of athletes and in their communities. Making a planned gift today shows your community what you value and support. It also helps us plan for a better tomorrow. 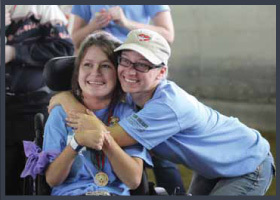 No matter how you choose to help Special Olympics Illinois, we make sure your gift does the most it can. Please pledge your support today. Being part of a community means knowing your actions improve the lives of those around you. 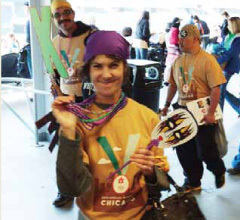 As a contributing partner in the mission of Special Olympics Illinois, your generosity makes a difference to the families and athletes you know personally in your community. The charitable donation you’ve made today will also touch the lives of many others throughout the state of Illinois for years to come. Each one of them is grateful to you. We encourage you to see how your support is helping us touch people’s lives each month by signing up for our e-mail newsletter, following us on social media, and checking back in at soill.org for updates. We welcome you to attend competitions and events, and to volunteer. We value the role of every one of our partners, and would like to extend our deep gratitude for your pledge to supporting our cause. Special Olympics may only be one small part of your community, but you are a very big part of ours. E-mail us any time and let us know how we’re doing.